HRE 2020 is a civil society coalition to support and strengthen the implementation of international human rights education commitments. 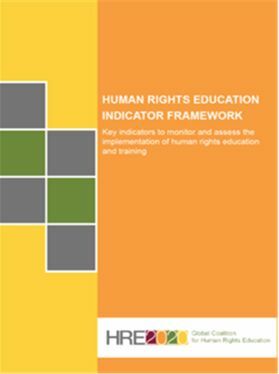 It seeks to ensure a systematic monitoring of governments implementation of human rights education provisions in international human rights instruments, including the UN Declaration on Human Rights Education and Training and the World Programme for Human Rights Education. HRE 2020 works with civil society and other stakeholders to promote quality human rights education. We call for greater accountability of human rights commitments because a comprehensive education in human rights provides knowledge, imparts skills and empowers individuals to promote, defend and apply human rights in daily life. Amnesty International, HREA and Soka Gakkai International are the original members of HRE 2020 and launched the coalition in December 2013. The year 2020, one year before the 10th anniversary of the adoption of the UN Declaration on Human Rights Education and Training will be a key year to assess the achievement of governments, international institutions and civil society to provide access to quality human rights education.